A former Chadron resident, T.C. 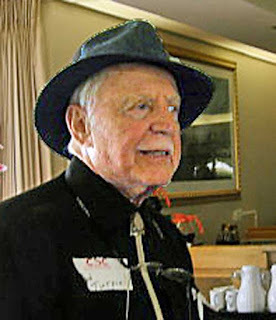 (Ted) Turpin, who began what evolved into an exceptional career in the newspaper and publishing fields, among others, while attending Chadron State College in the early 1950s, died on Dec. 5 in Tucson, Ariz., where he had lived since the mid-1960s. Turpin, 84, was often in the spotlight as a youth in Chadron. He was a 130-pound starting guard on the Chadron Prep football team, a distance runner and a Golden Gloves boxer and was often involved in fine arts activities. He graduated from Prep in 1950 and from Chadron State in 1954. While in college, Turpin was the editor of “The Eagle” newspaper three semesters, set the school record in the two-mile run, was a football and basketball cheerleader, sang in the choir and select vocal groups, received the Sigma Delta Nu key for scholarship, belonged to Blue Key National Honor Fraternity and was the Ivy Day orator. Also during this era, Turpin was a sportswriter for the Chadron Record and was a sportscaster for KCSR Radio briefly after it went on the air in May 1954. After teaching and coaching for one year each at Brule and Big Springs High Schools in the Ogallala area, Turpin switched to journalism and was a news reporter and later the editor of the North Platte Telegraph. While serving in the latter position, he was elected president of the Nebraska Associated Press Managing Editors Association and was chosen North Platte’s “Outstanding Young Man.” In addition, he was co-founder and first president of the Lincoln County Historical Society. In 1961, Turpin went to Washington, D.C., and was an administrative assistant to newly-elected U.S. Rep. Dave Martin for a year. The next three years, he lived in Chicago and Cleveland while working as the Midwest agricultural reporter for the Wall Street Journal. 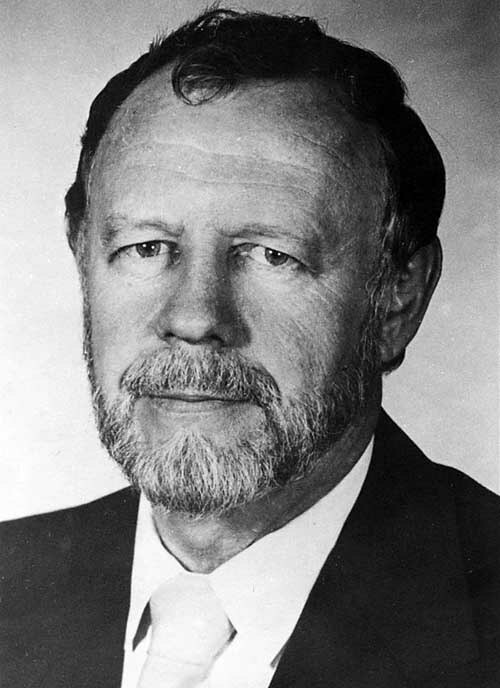 When Turpin returned to Chadron State in 1983 to speak at commencement and receive the college’s Distinguished Service Award, he was serving his sixth term as the Arizona chairman for the National Newspaper Association and was in his seventh year as a board member for an agency that worked with citizens in poor rural communities to help them improve their lives. One of Turpin’s acquaintances when both were growing up in Chadron remained in touch with Turpin through the years is Mike Smith, once the sports editor and Sunday supplement editor of the Minneapolis Star-Tribune and now of Isanti, Minn. While Turpin was attending Chadron State, he met and married Kathleen Gunn of Lusk. Although they divorced in the 1990s and both remarried, they remained friends. He is survived by two children and three grandchildren. Editor's Note: Thanks to Con Marshall for sharing this story with Dawes County Journal. The 2011 photo of Ted Turpin is courtesy of Mike Smith, taken during a Chadron Area Reunion in Phoenix, Arizona. Here is a link to Ted Turpin's obituary. Ted's mother, Bernice Turpin, according to the 1954 Chadron City Directory, was a rural school teacher. Ted had a brother, Mike, who was about five or six years younger. Neither was mentioned in his obituary, and both may have pre-deceased him.